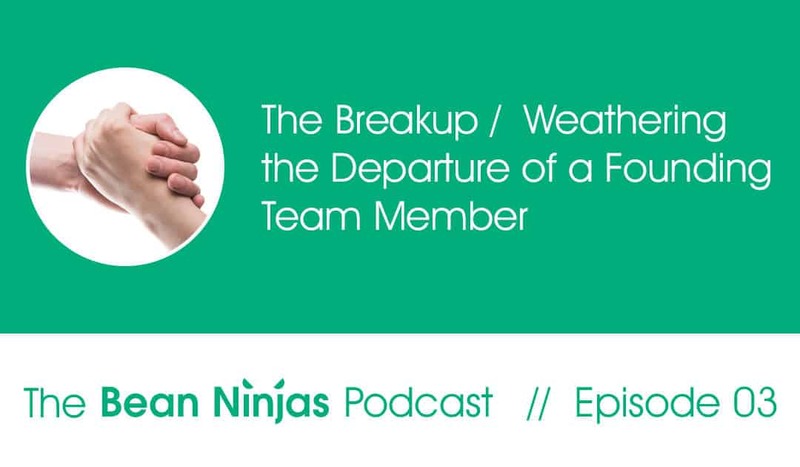 In Episode 3 of The Bean Ninjas Podcast, Meryl Johnston, Co-founder of Bean Ninjas takes us behind the scenes of a business breakup. She tells us how she and Co-Founder Ben were able to survive his exit from the company. Detailing how their original agreement set the tone for a peaceful split and what she recommends to avoid breakup issues. Meryl walks us through each step of the breakup and reveals how she and Ben were able to weather even the most difficult conversations and decisions and still remain on great terms. The episode is a transparent look at what happens when a founding member decides to leave the company and how to avoid negative impacts on the business in the process. Stay tuned until the end when Meryl gives us her must-haves for co-founder agreements. The next episode of Bean Ninjas Podcast is a review of Bean Ninja’s first 3 years. We discuss a raft of topics including; Bean Ninjas Xero Bookkeeping Partner of the Year Award, Meryl’s decision to raise capital, the DCBKK Conference. As well as this, we also cover how she and Ben are still partnering in other ways and Bean Ninja’s first baby!